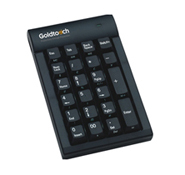 The Goldtouch Numeric Keypad, with its USB hub, complements the Goldtouch keyboard and allows the convenience of remaining detached from the keyboard itself for optimal mouse and keypad placement. 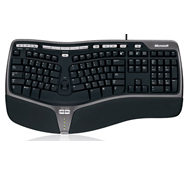 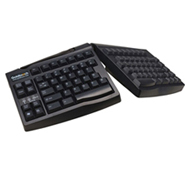 Perfect for individuals requiring greater separation than what is provided by other ergonomic keyboards. 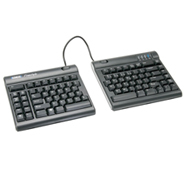 The Freestyle Solo is compatible with all Windows, Sun and Linux systems that have an available USB port. 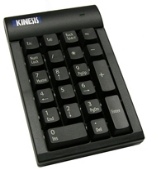 The Low-Force Numeric Keypad allows users flexibility in positioning the keypad to the right or left of the keyboard.